Decided to start a new thread to track the coaching search news and thoughts. Terryl Austin / Former Lions DC - took a lateral move to the Bengals. Winston Moss / Packers LB Coach - last position coach we hired to lead the team was Rod Marinelli, how did that work out? Matt Patricia / Pats DC - how have other Pats coordinators panned out in HC roles? Also, might he want to stay closer to home in NYC? Who else should Lions look at? Bill Belichick - best coach in NFL history having a little spat with team owner and GOAT QB? Bob you already know Bill right? Nick Saban - best coach in College history just won a six NT, time for a new challenge and has lived in Michigan before. Steve Wilks the DC from Carolina has reportedly sparked at least a little interest in Detroit. In today's NFL I like offensive minded HC's in general. I hope Shurmur got a fair shake despite his poor record as HC for the Browns (how did Belichick fair there?). I hear a lot about Josh McDaniels so I won't go there. I'd also look at Frank Reich as I like what he has done as Philly's OC in terms of creativity, working with his QB, running the ball (one of top in NFL) and overall scoring. In addition to Wentz, he has worked with Rivers and P. Manning in the NFL. He also played QB for your Detroit Lions for a couple of years back in the late 90's so knows the fans/area. I've been seeing a lot of articles and chatter on the old internet that maybe not all is well in Gillette and maybe Billy-boy is looking for new horizons. And in looking at it, Detroit has a lot to offer for him, a top notch QB still in his prime with some good receivers around him, good players on the offensive line, and then some middling RB's, a well know situation that he has already schemed...on the other side a defense with good core players at def line and defensive backs, just need a linebacker or 2 to add into the mix. All that stuff is a good fantasy, but let's get realistic. In all likelihood, we'll end up with Vrabel as our next HC, it's Whisenhunt all over again. Quinn might be putting too many eggs in the Matt Patricia basket, and I've read too many articles from too many sources about him favoring the Giants job over ours. One candidate no one's been talking about is Jeff Fischer. He said he's still interested in coaching, and he's someone that has some pull with the League, so the whole "zebras hunting Lions" thing might finally come to an end. Jeff Fisher would ruin this team. If we are swinging for the fences, i like cowher. If we end up with vrabel. I'll be very dissapointed. 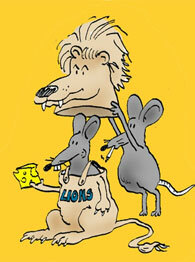 i think the lions know who the 1 and 2 are for the coaching search. carolina is bumped from the playoffs and we havent heard anything about wilks interviewing, so the search is completed. all signs point to the lions waiting on patricia to decide bw detroit and ny giants. im not sure who the Lions No 2 choice is but think that its probably vrabel. also looks like the lions are keeping Cooter as the O-coordinator as he hasnt interviewed anywhere else. Austin saw the writing on the wall with Quinn basically saying he preferred a defensive coach, Cooter knows he s safe bc Quinn is trying not to disrupt what they ve developed there. Last edited by The Legend on January 13th, 2018, 11:31 am, edited 1 time in total. the key is the last phrase there - belichick wants complete control. quinn would be essentially demoting himself. belichick would have to be hired by an owner in a near complete sweep of top coaching/front office leadership - he wouldnt be hired by a GM looking to stay in charge of all the personnel moves. Patrica going to the Giants never made any sense. All reports are the Giants are taking a QB at #2 which means a complete rebuild. If your banking on the next QB you would want an offensive coach. Besides the Giants' media and fans are delusional they've been talking about Sabon and Belichick all week. It sounds like their 3 coaches everybody is interested in McDaniels, Patrica and Schumer with 4 spots to go around. Looks like somebody is not going to have a date to the prom. You have to look at what Quinn has said he wants for the team. For all practical purposes he stated what N.E. stresses. N.E. doesn't have the market cornered on those standards, however, coaches and players from there have plenty of experience with them. I'm not sure Shurmur is quite there to the same extent. Don't know that he isn't either. While you don't like Marinelli, he was not the reason the Lions went 0-16. You need look no further than Ford Jr, Lewand, and Mayhew. Mayhew put the starting qb on IR so he could bring in the washed up Culpepper who is totally unfamilar with the team or the scheme. Why? Because it was a race to last place and first choice of qb's. Why do the Lions consistently lose? Fans are always about the talent on the team, in particular, at quarterback. If the team wins, they got talent, if they lose, they lack talent. Fans waffle between bad boy players and choir boys. Between a player's coach and a disciplinarian. Whatever we got now we need the opposite. We consistently overlook what the players are doing. It isn't what you have, it is what you do with it that matters. Nor do you get what you pay for, you get what you tolerate. The Front Office has sought talent first and foremost for two reasons; fans want it and the people who should know better have also fallen into the mistake of confusing correlation with causation. To get the talent the Front Office, the coaches and the fans have been willing to tolerate the inconsistencies, the mistakes, the lack of situational awareness and just plain dumb play. And the reason the team loses is because they play inconsistently, they make too many mistakes, they lack situational awareness and they do dumb things. It is tolerated by the fans because they are desperate and see the talent making the miscues as their only hope, though fans eventually turn on them. Coaches tolerate it because emphasising the talent is the fastest way to win and ensure continued employment. The Front Office has tolerated it because the main interest in putting fans in the seats win or lose. Apparently that has changed. When was the last time the Lions fired a head coach after he had posted a 9 win season? At the moment it certainly looks like the new hire will either be Patricia or Vrabel. I would have no real problem with either of them if they are willing to quit tolerating players mailing it in unless they want to make an effort, the mental mistakes, the lack of situational awareness and the bone headed actions that hurt the team. The same holds true for hiring Shurmur. I doubt he and the Cleveland front office were on the same page when he was their head coach so I don't hold that against him. Now Albert Breer is saying the Lions are telling all the other candidates they have been eliminated from the HC search, so that pretty much locks it up as Patricia's job. I'm cautiously optimistic Patricia could be a very good HC for the Lions. Still unsure about the prospect of retaining JBC as the OC, but maybe Patricia can get him some help with the run game. Patricia was also an Oline coach for a bit, which hopefully leads to the oline producing more to their talent level. its just a matter of dotting i and crossing t s on the contract terms. Patricia is going to be the Lions coach and Patricia was the one Quinn wanted before he started the search. The rest of it was just about finding a plan b in case patricia wouldnt come but its apparent he has turned down the Giants at this point. Once they knew he was coming they decided they didnt need to interview Wilks or anybody else anymore. It also looks like JBC is going to stay on board as OCoordinator although thats not completely certain. Reports have leaked potential coordinators for most other candidates but in the typical NE way, Patricia has kept things close to the vest. It'll be interesting to see if they keep Cooter in place with position coach changes, or if they do make a change. Our offense with a run game and a defense that ranks high in scoring defense and success is possible. The Pats D might give up a lot of yards, but they've always been a top 10 scoring defense under Patricia. Since week 5, they've been top 5 this year. As for knowing he was the pick, I think you can go all the way back to Quinn's hiring and Patricia was linked to the job. I think Quinn was smart in establishing himself and making the changes to the system that make it an easier transition for his guy now. Less work on systems around the facility and more focus on football. If any of you read the recent SI piece, it tells the story of Brandon Spikes. A serviceable player that Patricia taught him how to study film and got the maximum out of a guy that hasn't done anything elsewhere. I believe he's going to pull guys aside and show them how they can improve, and have a chance to develop. he built relationships that seem Caldwell-esque, but he's also a tough guy that isn't going to take the crap that seemed to permeate the locker room in the past. We don't know how it'll actually look or happen when the hire is made, but I'm hopeful. I think our first clue will be the first press conference introducing him. Will his hair be trimmed and beard cut and try to fit the look of a typical headcoach or will he be himself and do it his way. I'm hoping for the second.